Fudan University is one of China’s most elite universities. 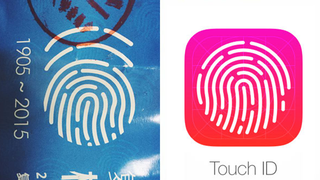 This week, it is being accused of not only ripping off a famous Japanese university, but also Apple. Some week! In the 2014 University of Tokyo video, a female astronaut walks around the campus, recalling her time at the school. There is a voice over in English. In this week’s Fudan University video, a female pilot walks around Fudan University, recalling her time at the school. There is a voice over in English. Still, online in China, net users have been quick to criticize the school, and Fudan University has pulled the promotional video. The head of Fudan University’s publicity department told Shanghai Daily , “The video was removed from our official website, Wechat and Weibo accounts due to the controversy it has caused.” ShanghaiIst also reports that the university has apologized for the clip. This rip-off allegations don’t stop there. Below, you can see the logo for the school’s 110th anniversary. Look familiar? Online in China, people have been quick to point out that the university’s anniversary logo looks like the Apple Touch ID icon. Website China Digital Times even published an overlay, showing that it appears to be a match. I wonder what the school’s policy on plagiarism is.